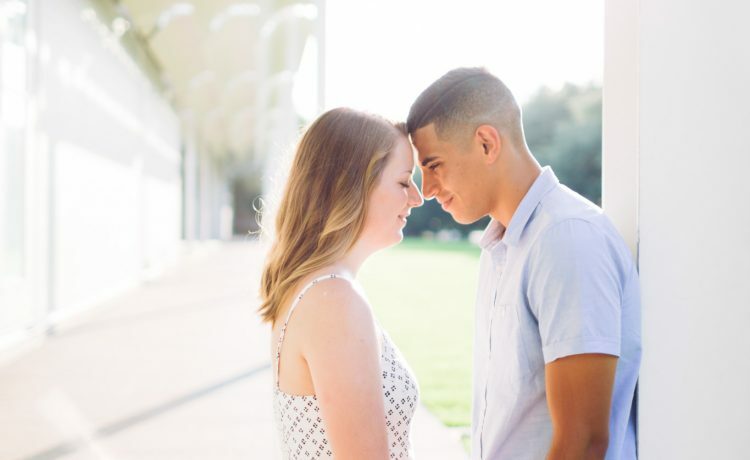 When we first met Mikaela and Paul, it was evident how much these two adored each other. 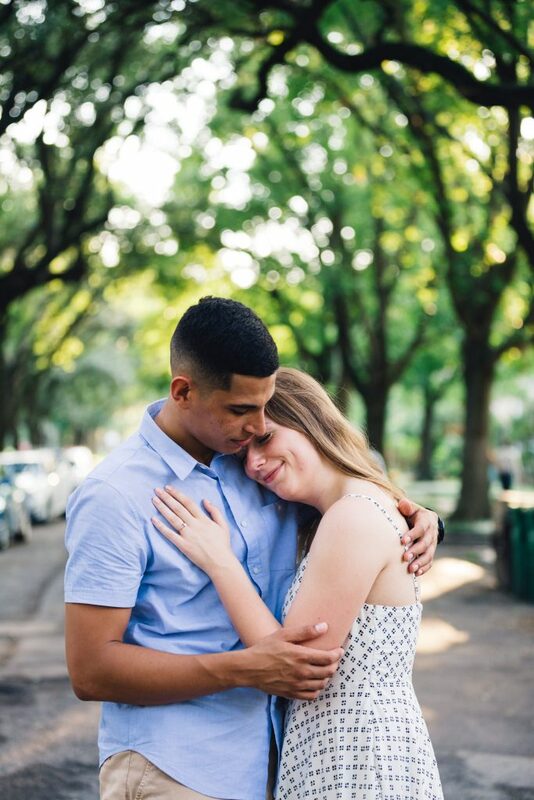 Their love story is a sweeping tale of “love at first sight” which has only flourished as their relationship has grown. 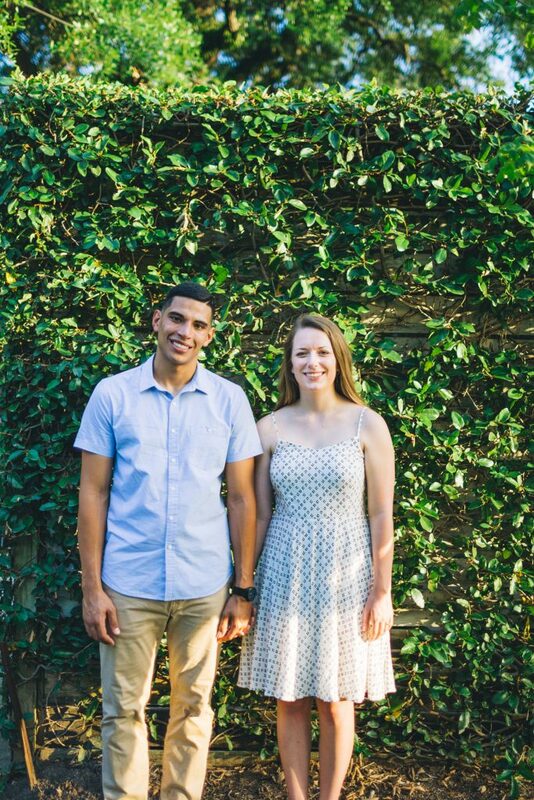 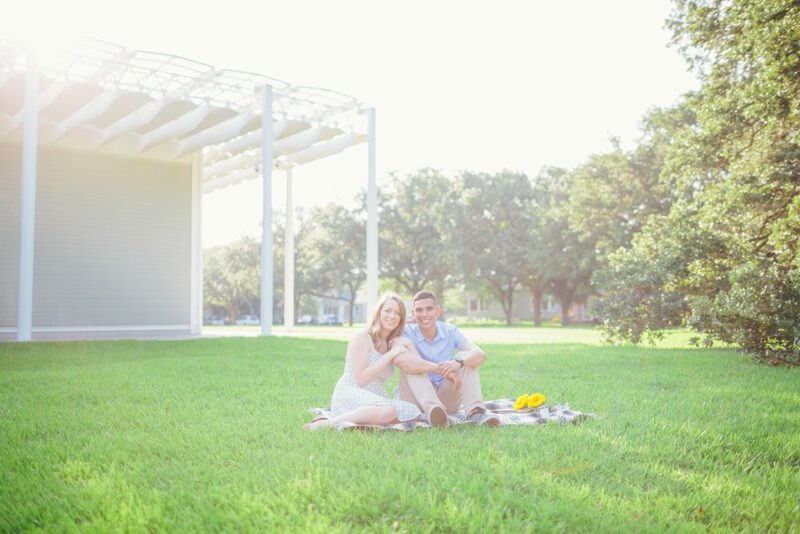 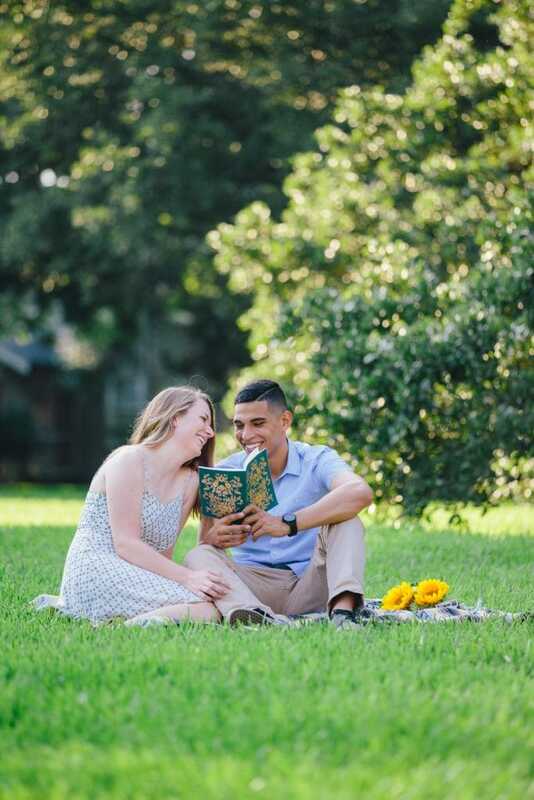 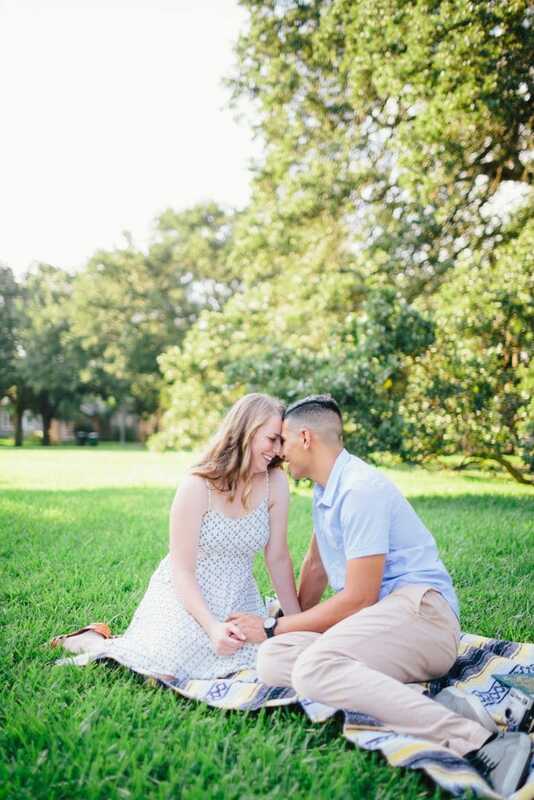 As we got to know Mikaela and Paul, they shared that one of their favorite past times is to have picnics in parks all over Houston. 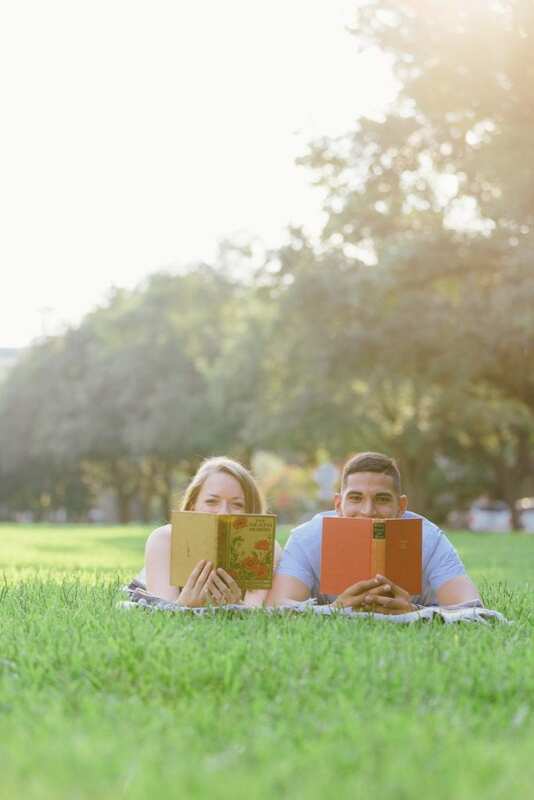 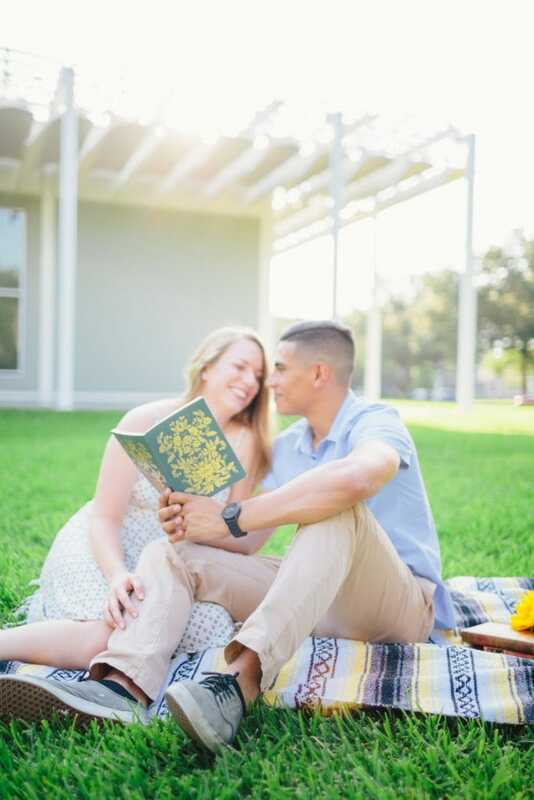 Mikaela loves to read and enjoys bringing her latest novel along on their picnics while Paul admits he mostly admires his bride-to-be while she lays in the grass and reads (awww!). 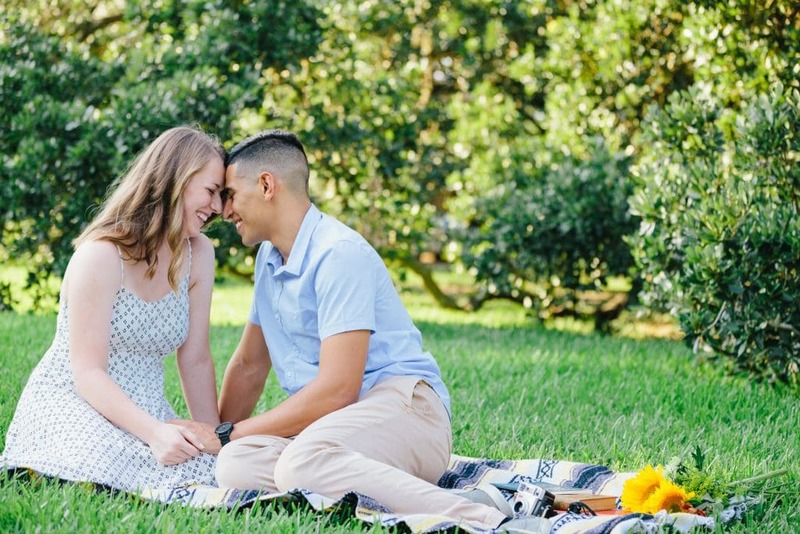 When we learned about their love for picnics, we knew that joining them for a picnic would be the perfect way to showcase their engagement pictures. 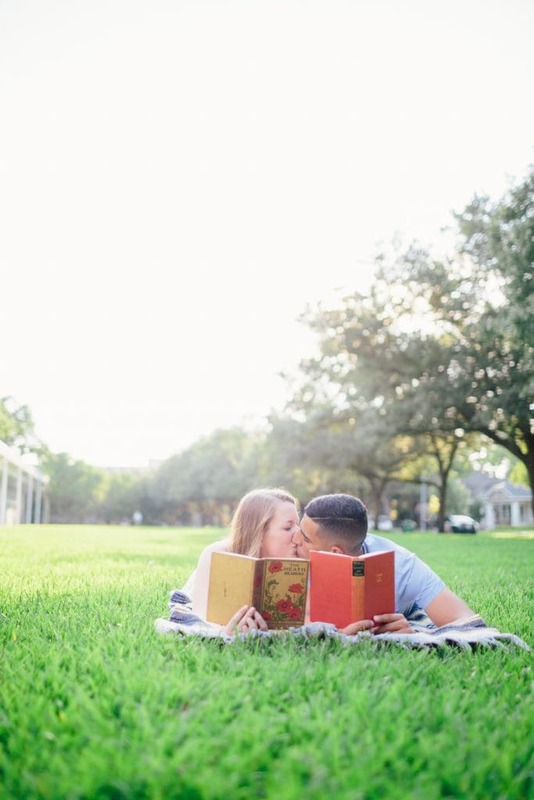 Mikaela and Paul grabbed their favorite blanket and a book to read and we set out on our outdoor picnic engagement shoot. 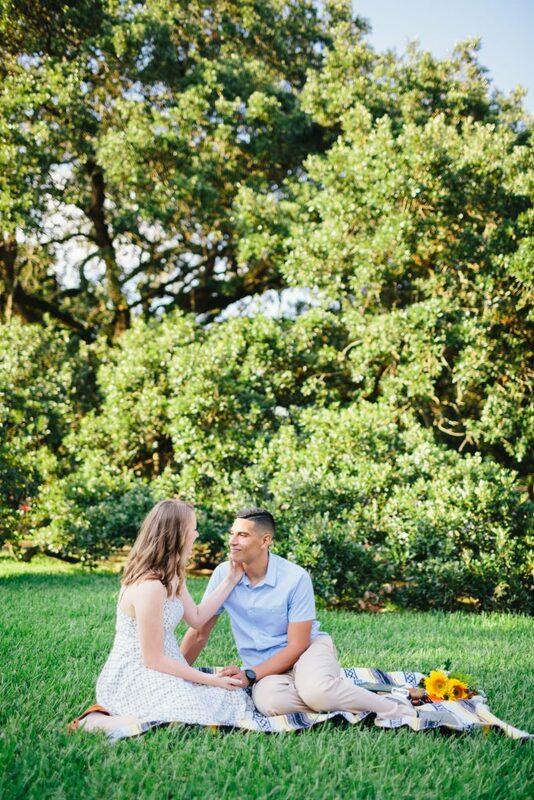 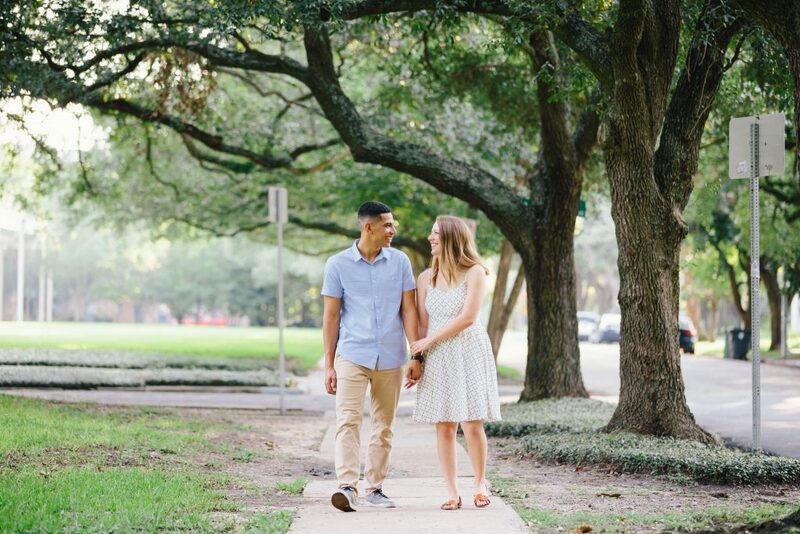 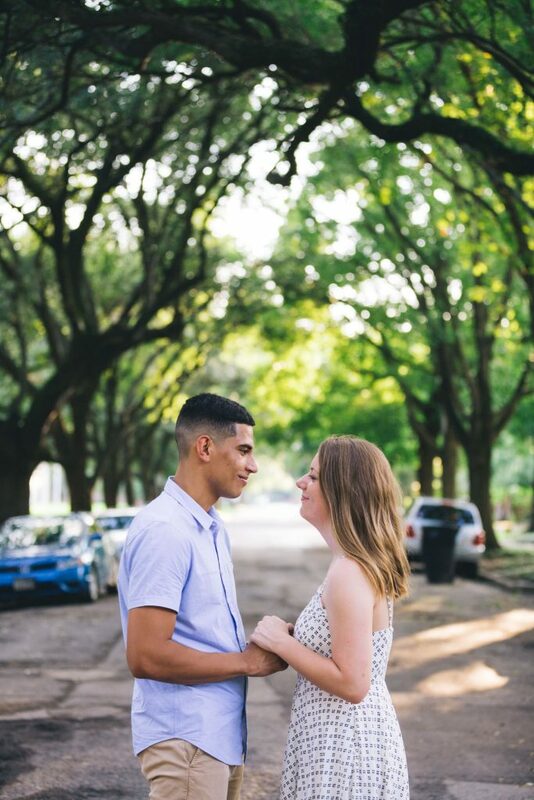 These pictures bring to life the love and admiration Paul and Mikaela have for one another, their easy going personalities, effortless smiles, and admiration they have for one another shines in this downtown Houston picnic engagement session.